Do you know why chickpeas are so popular lately? I do! It’s because they recently ditched their long-standing, unfortunately unattractive name. What would you prefer to say: “I’m eating chickpeas!” or “I’m eating garbanzo beans…” No contest. This is a fantastically simple recipe and what makes it even better is its versatility. This can be served as a salad or as a dip (with toasted pita, for example) and either hot or cold. Make it up to three days in advance and refrigerate – the longer it hangs out, the more it breaks down so that flavors can mingle. Get cozy with one another. Maybe even get a little frisky if the mood in your fridge is just right. Wait, what? Chop everything – I like to leave the parsley on the large side because I think it looks great in the finished dish. It all gets thrown into a hot pan in stages. The final stage is, of course, the feta. Pull it all off the stove just as the feta begins to melt and you are done. Easy, healthy and delicious. Enjoy, my friends. 1. Heat oil in large pan over medium high heat. Add onions and red chilis. Saute approximately 2 minutes. Before onions turn translucent, add garlic and chickpeas. Cook until chickpeas are tender and warmed through. 2. 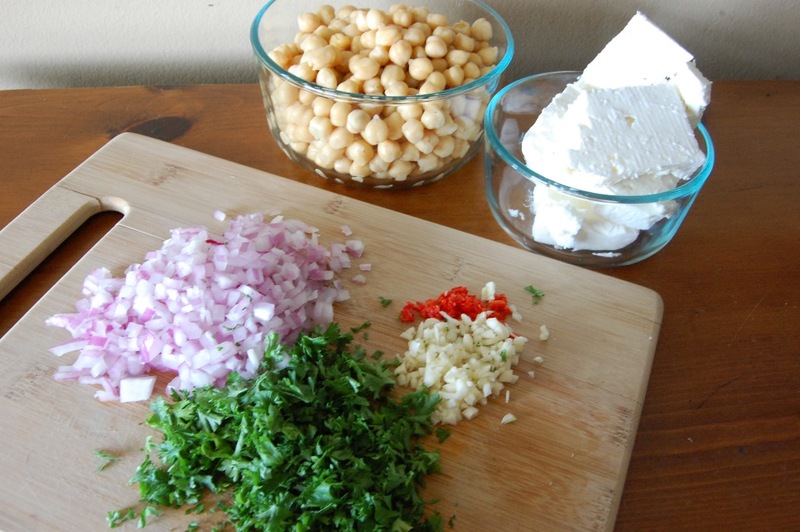 Immediately prior to removing from heat, add parsley and crumble feta into cooked chickpeas. Add salt and pepper to taste (easy on the salt, the feta has plenty of it). Remove from heat as soon as feta begins to melt. Serve immediately or refrigerate up to three days. Adapted from Gordon Ramsay’s Chickpea Salad. 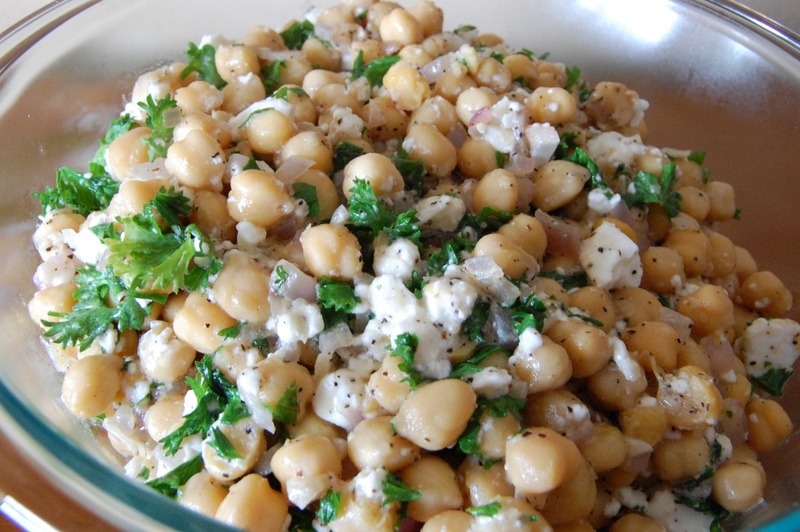 This entry was posted in Appetizers, Side Dish, Snack, Vegetarian and tagged Appetizer, Chickpea, Cook Time, Cooking, Easy, Feta, Garbanzo Beans, Healthy, Make Ahead, Prep Time, Recipes, Simple, Snack, Yield by Lazy Suzan. Bookmark the permalink. 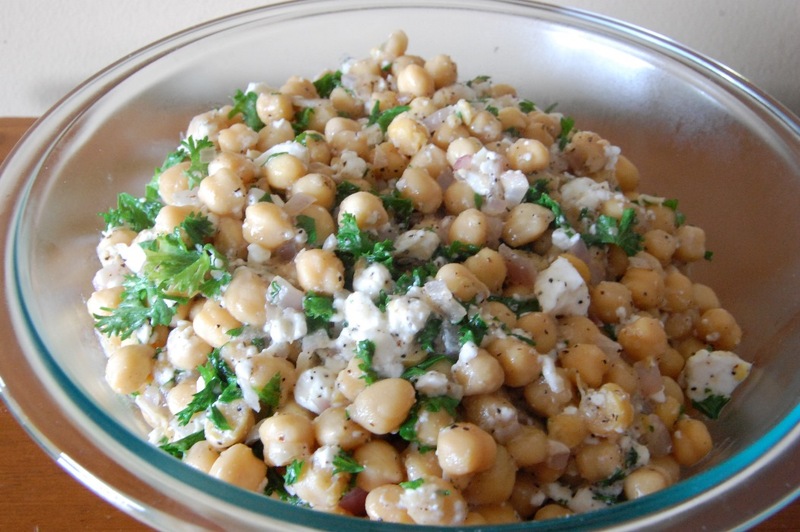 love anything with chickpeas and feta! Well, you did say it was easy. 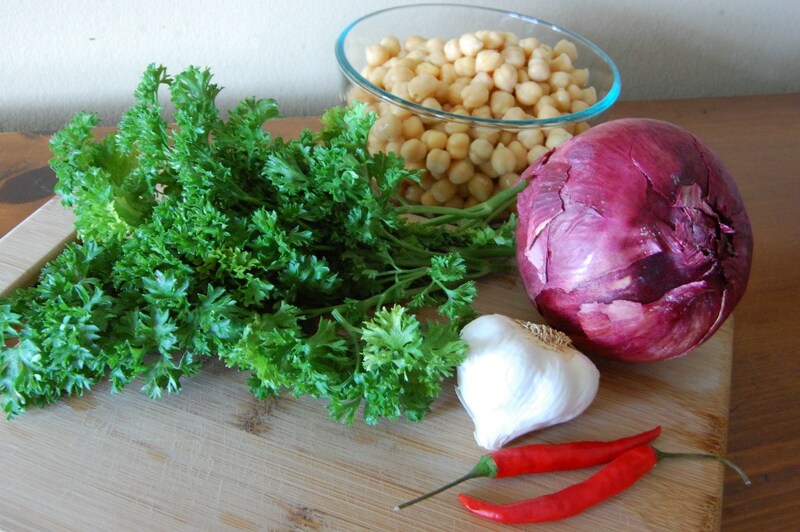 What a great salad and my experience with chickpeas is like your own. If you make the salad in advance, it really does make a difference and tastes much better. Yes! I love to let it “break down” a little over a day or two.